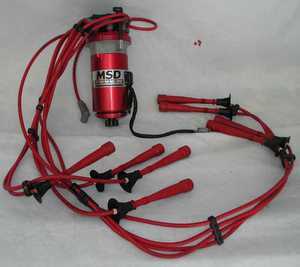 MSD ignition wire set for MSD magneto 8.5mm single Hemi spark plug wire kit. 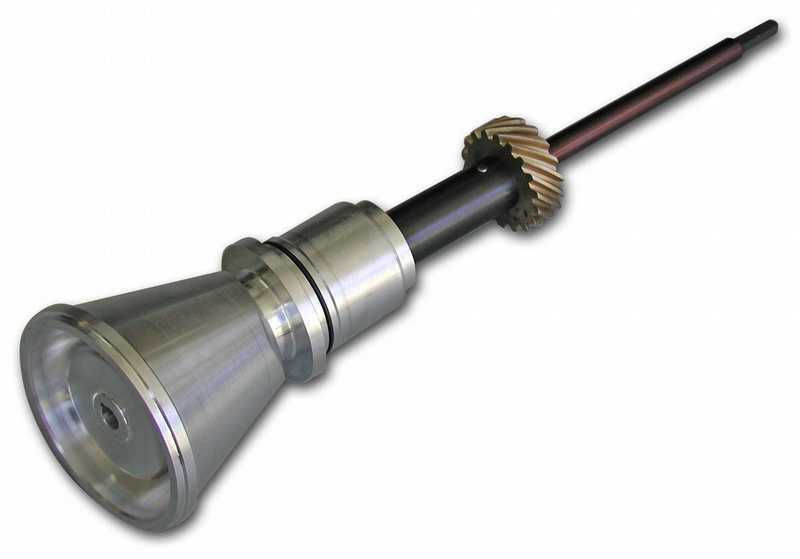 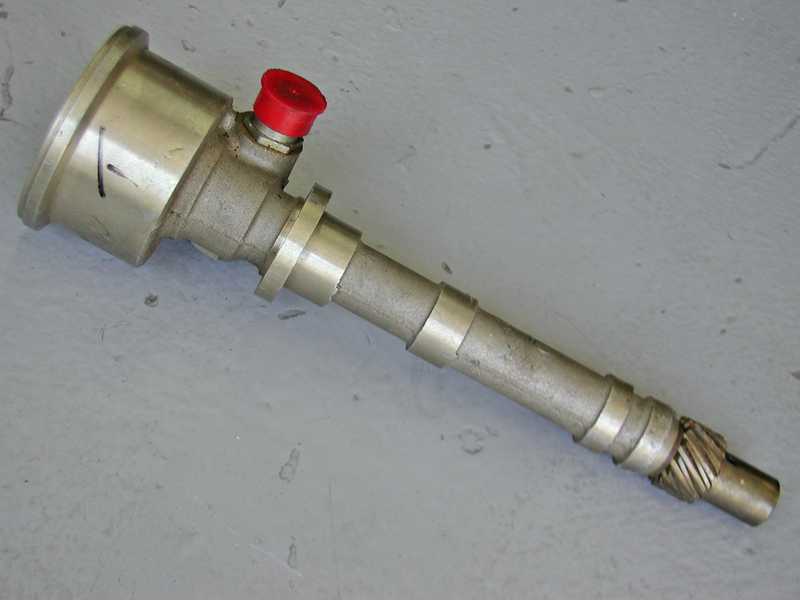 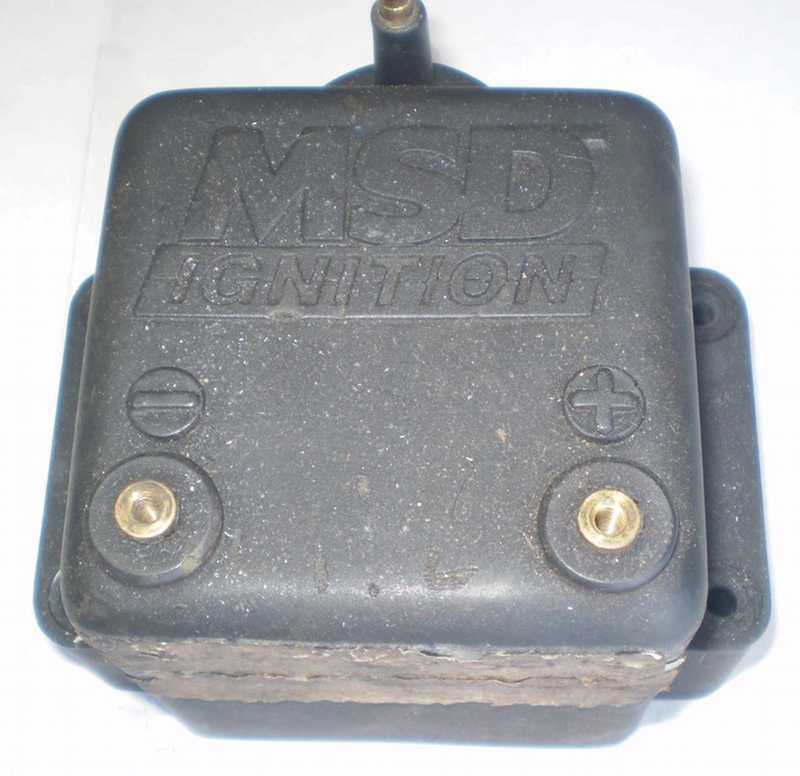 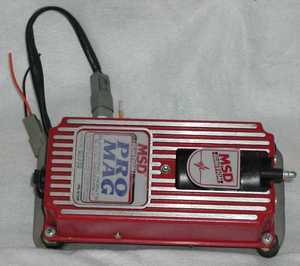 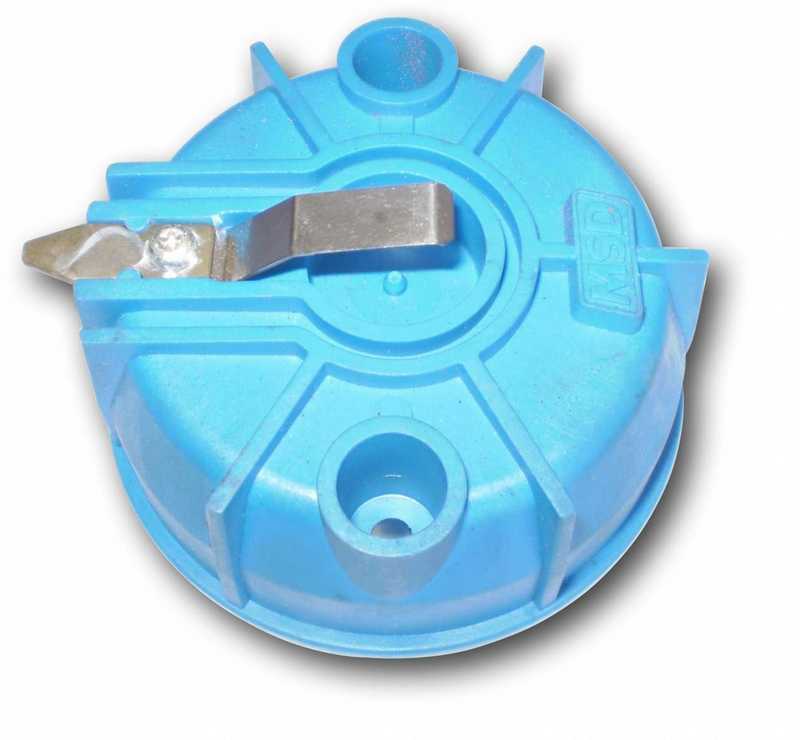 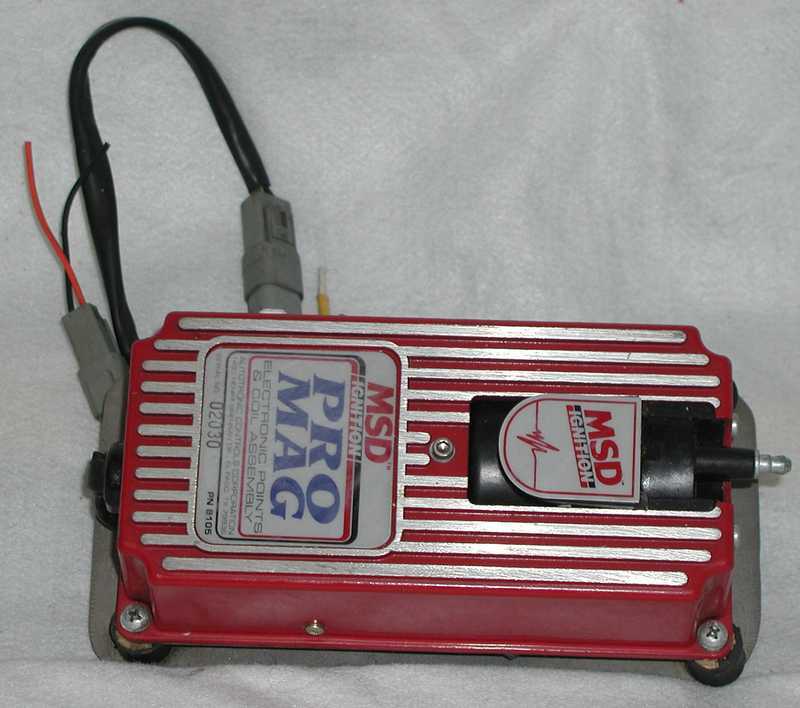 We carry a complete stock of MSD Hemi plug wire kits. 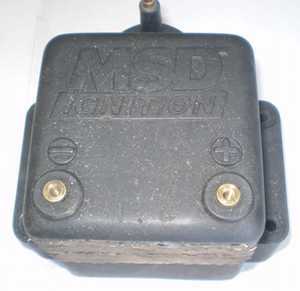 The MSD 8.5mm spark plug wire features 40-50 ohms per ft. resistance which means more spark to the plug. 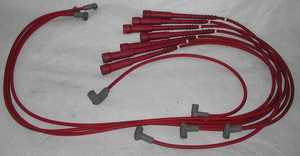 The plug wire has a copper alloy conducter that is a much better conducter than stainless steel that some other plug wires use. The sleeve of the plug wire is made from silicone and synthetic material giving it resistance to heat, cleaners, and cuts. 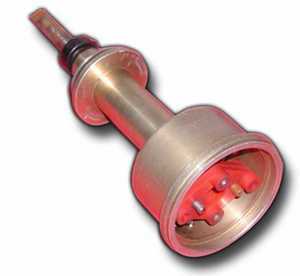 The plug wire is great to have in case of a fire, worn out ones, or one of the other little problems that can occur at the track. 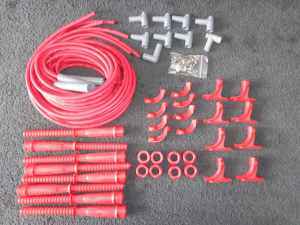 Each plug wire kits includes eight wires with a 90 degree end for the cap, and eight plug wire ends that can be straight up out of the valve cover or run thru the supplied 90 degree boot, screws, plug wire numbers, and terminal ends. 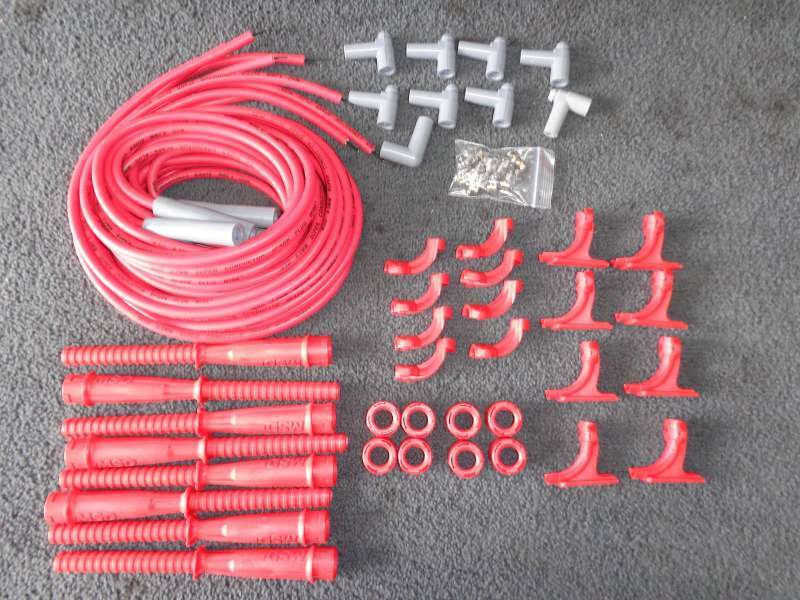 Plug wire kits are sold in red or black at same price. 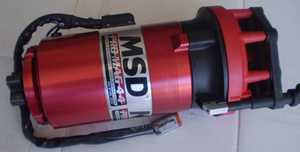 For tall deck or short deck magneto. 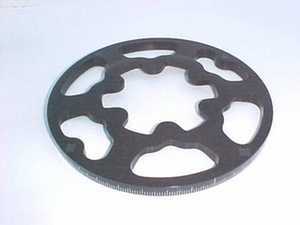 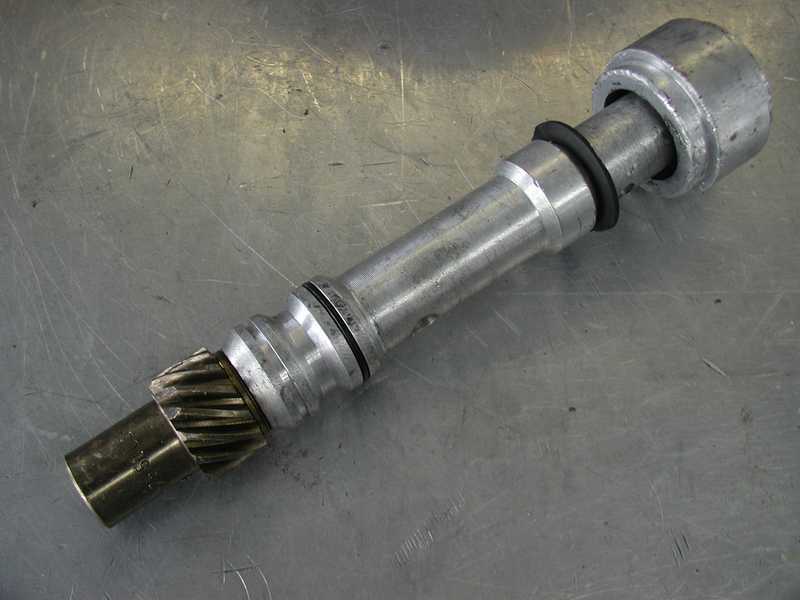 Features bronze gear. 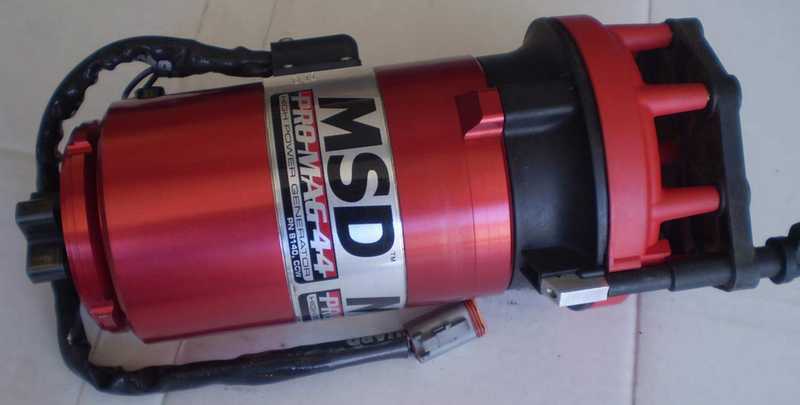 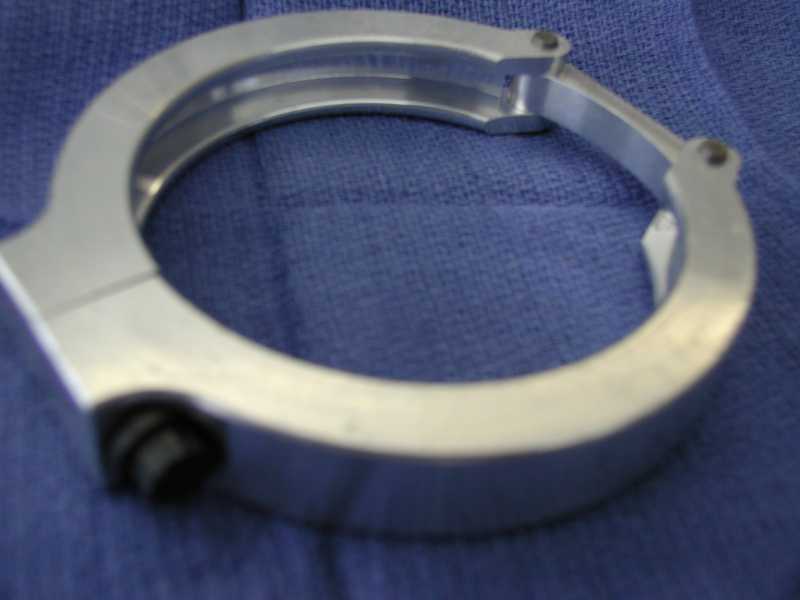 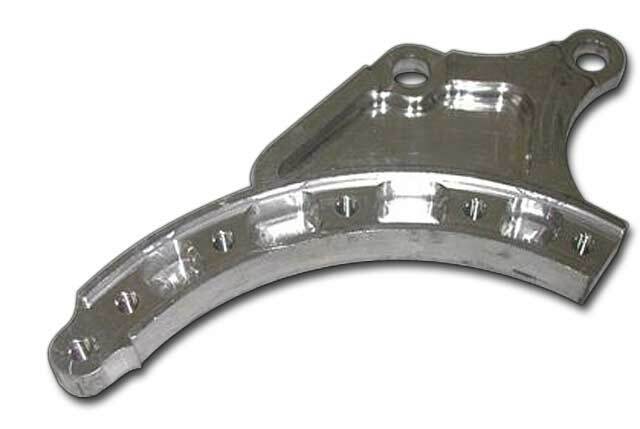 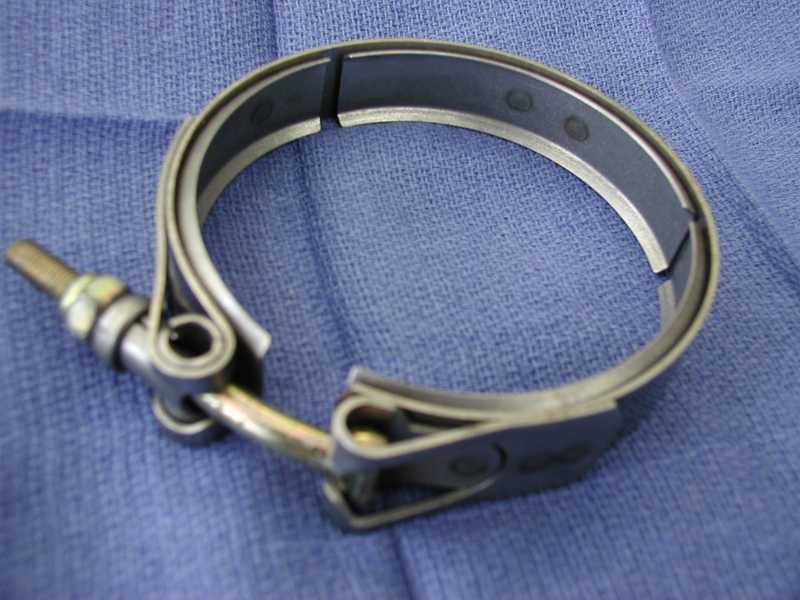 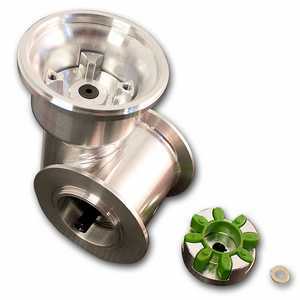 RCD billet magneto clamp fits MSD magnetos and Mallory Magnetos, a must with RCD mag drives and offsets. 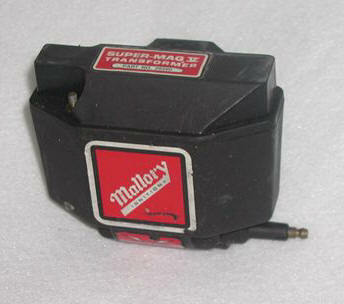 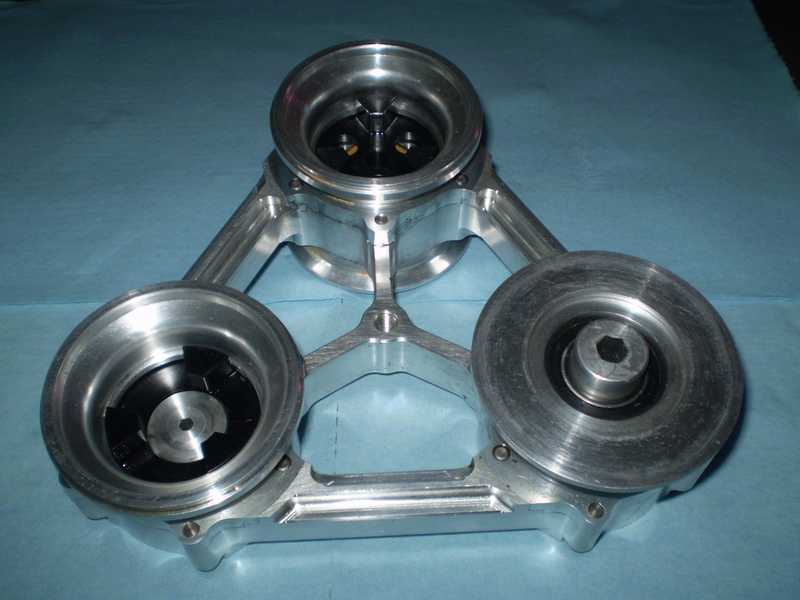 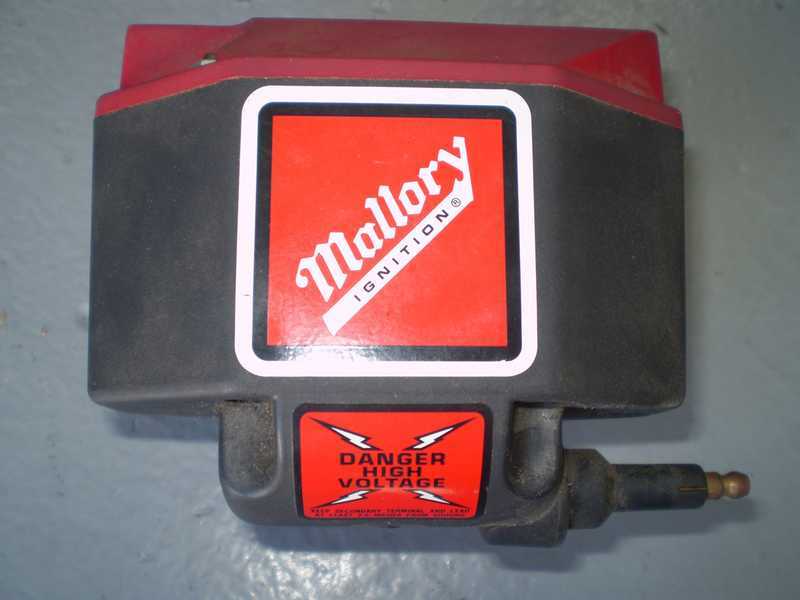 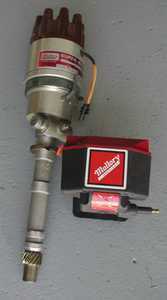 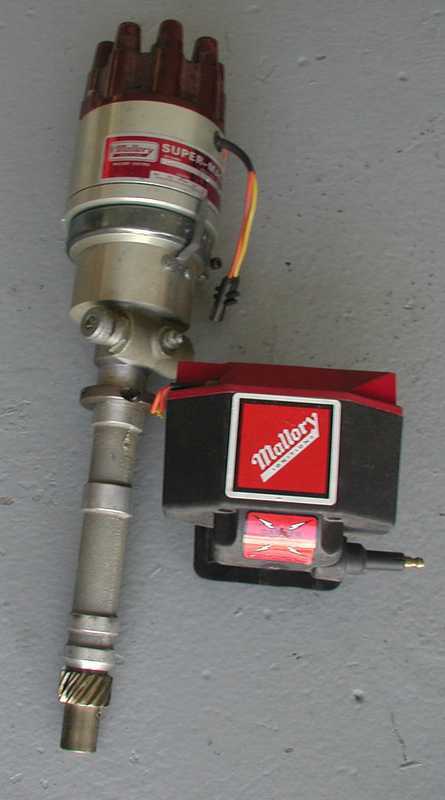 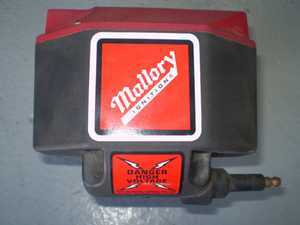 used Chevrolet big or small block Mallory super mag 3 magneto with base and clamp + Transformer.